No fewer than 5,000 people from different parties in Kwara South Senatorial District on Saturday defected to the All Progressives Congress (APC) at a rally in Omu-Aran, Kwara, the News Agency of Nigeria (NAN) reports. The decampees, majorly from the Peoples Democratic Party,(PDP), were received and presented with their membership cards at the APC campaign flag-off in respect of Ekiti/Irepodun/Isin/Oke-Ero Federal Constituency in the 2019 general elections. The leaders of the new members, in their separate remarks at the event, expressed their commitment and readiness to contribute their quota toward ensuring the party’s victory at the poll. According to them, only the APC at all levels of governance could help to actualise our yearnings and aspirations. Dr Seyi Adigun, a PDP chieftain and decampee from Ajase Ward 2 in Irepodun Local Government Area, in a remark, said every reasonable politician must be firm in taking positive decisions concerning his or her political career. 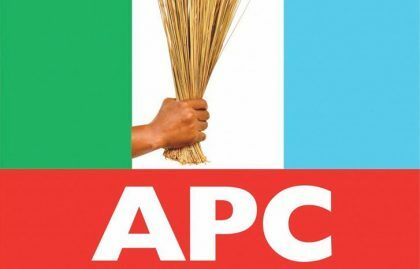 Adigun, presently a Board member, Kwara State School of Nursing, Oke-Ode, who claimed to represent over 1,500 members, said he was convinced that the APC truly represented the best interest of Nigeria and Nigerians. “Any reasonable person or politician must know the right time to stay or quit and as far as I’m concerned the APC by every standard represents the best interest of Nigerian people. “I have the conviction that in any free, fair and credible election in Nigeria like the recently concluded by-election in the state, the APC will always come out victorious,’’ he said. Also, Mr Dare Bamkole, a leader of the decampees from Oke-Ero Local Government Area (LGA) and a former Special Assistant on Sports to Gov. Abdulfatah Ahmed, said their defection was informed by APC’s overwhelming and people’s oriented manifestos. Mr Bashir Bolarinwa, the state APC Chairman, while receiving the decampees, said he remained the party’s authentic chairman in the state irrespective, of a recent High Court judgment nullifying the party’s state executive. He decried the verdict as pronounced by the High Court judge, saying the judge chose to be, in spite of overwhelming evidences and undisputable documents from the party to back his defence. Bolarinwa urged the new members to be dedicated to the party’s principles and ideals, saying the challenges ahead required more commitment and sacrifice. “What is important to us is that none of our party members should lose sleep over such a judgment. “I want to make it also clear that all our candidates for the 2019 general elections remained intact and that I Bashir Bolarinwa remained the authentic chairman of APC in Kwara State,” he said. Rep. Raheem Olawuyi, the recently sworn-in lawmaker, representing Ekiti/Irepodun/Isin/Oke-Ero Federal Constituency and also the party’s candidate for the same slot in 2019 general elections, was optimistic of his victory at the poll. He promised that his present and future representation would help to accelerate the desired socio-economic development of the constituency. “We still stand by our promise to the electorate before our victory in the last by-election that we are going to do things differently as way of impacting positively on our people. “This will be in accordance with the desired growth, progress and development envisioned for the constituency,’’ Olawuyi said.